I prefer herbal shampoos over chemical ones as they are mild and prevent hair from graying. I had tried few of Khadi products and I must say it is an awesome brand. Khadi Soaps are the most gentle handmade soaps I have tried recently (Reviewed HERE). 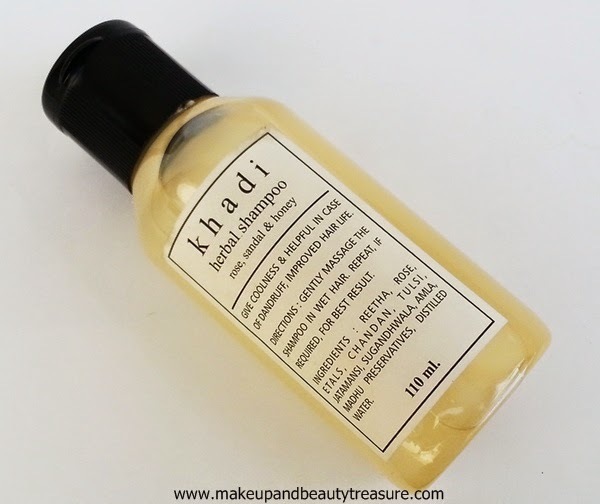 Today I am going to review Khadi Herbal Shampoo in Rose, Sandal & Honey which is one of the best Khadi shampoos. 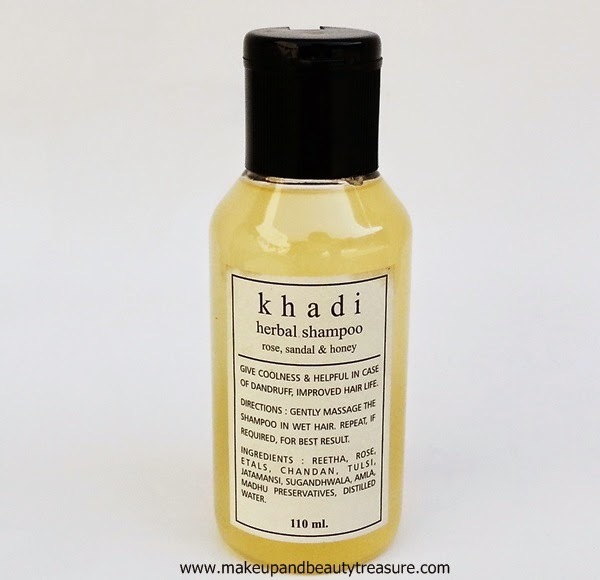 Khadi Herbal Shampoo Rose, Sandal & Honey comes in a sturdy, clear plastic bottle with a black flip top lid. 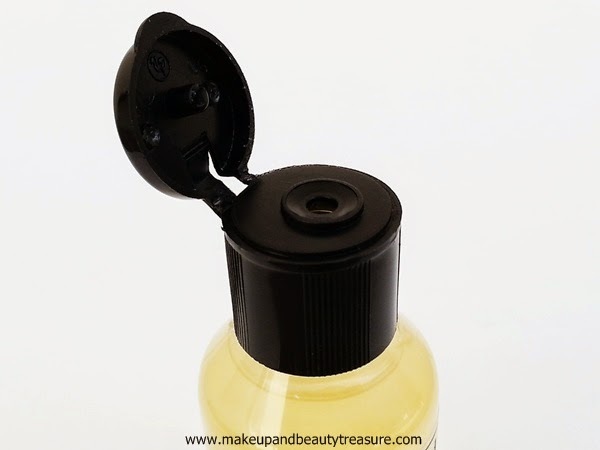 The lid is quite tight and the bottle can be easily carried around in a bag while traveling without any fear of leakage or spillage. The packaging is fairly simple yet understated. The shampoo is light yellow in color and has a divine mixed scent of rose and sandalwood. The texture of the shampoo is soft and smooth with good consistency. It is neither very thick nor very thin. You are greeted with the rose & sandalwood scent as soon as it is dispensed out. The scent is lively and pleasant and won’t bother sensitive noses. I always make sure to dilute my shampoo to reduce the damage the chemicals may cause to the hair. 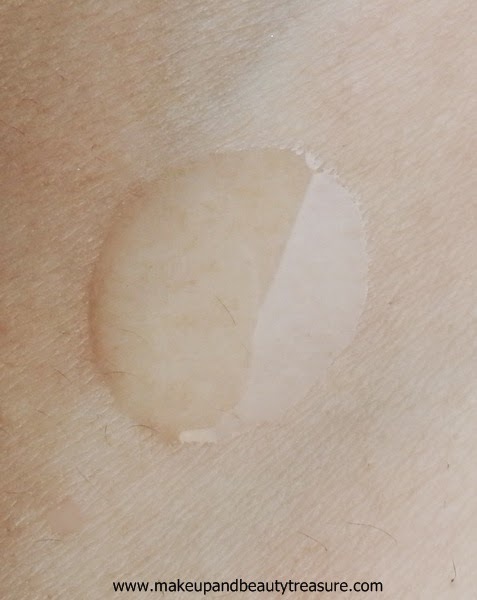 The shampoo is easily applied and gets spread to my medium length hair. Whenever I oil my hair, I require more shampoo than required though it happens with all the shampoos in my case. It creates good lather and the scent does not tend to intensify. It is easily rinsed away. After using the shampoo, my hair feels soft, thoroughly cleansed (I apply oil before washing my hair!) and manageable with a healthy shine. I have soft, silky hair with dry and frizzy ends. My ends feel soft and I could not find any or less knots that I used to face when I use harsh shampoos. It controls the frizz but I always make sure to apply a good conditioner to make my hair soft and moisturized. It does not leave greasy residue behind or any build up. It does help in controlling moderate dandruff and keeps scalp clean and healthy. As I apply oil before washing my hair, I need two washes to get clean and oil free hair. The scent does not linger and fades away as soon as the shampoo is rinsed off. I have not experienced any adverse effects whilst using it. My cousin with dry hair loves this shampoo. The shampoo contains all good and natural ingredients like amla, rose petals, sandalwood, tulsi etc that are really good in keeping your hair healthy and soft. • The scent is refreshing and divine. 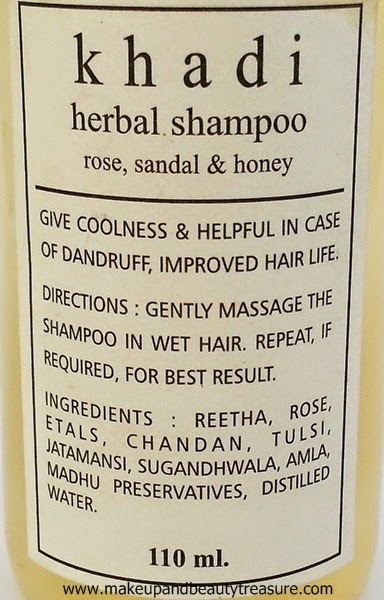 Khadi Herbal Shampoo Rose, Sandal & Honey is one of the best herbals shampoos I have tried. It is not only gentle to the hair but makes them clean, soft and shiny. It smells amazing and does not make my dry ends all the more dry! I am totally happy with this shampoo and would definitely recommend it to everyone! Have you tried Khadi Herbal Shampoo Rose, Sandal & Honey? How was your experience? Share in the comments section below!